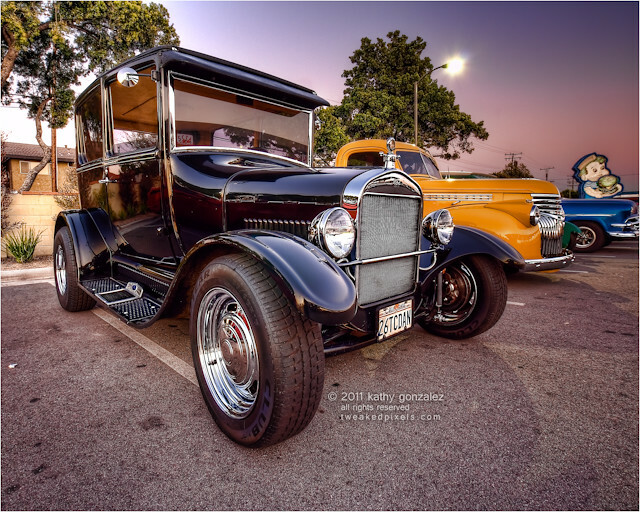 this pretty little model t was at the broiler last week. it’s old, but looks so new. aside from the chrome wheels, the young whippersnapper cars next to it, and the modern location, it looks as it has driven from an older, simpler time. i like that they have not jazzed it up or overcustomized it. just a classic look. even if i have to squint past those wheels.